More and more consumers are increasingly depending on the Internet and social media channels for health information. According to a new Pricewaterhouse Coopers report, one third of consumers use sites like Facebook, Twitter, YouTube and online forums to research health-related matters. More than 40 percent of consumers use social media for health-related consumer reviews, including reviews of physicians and treatments. Yet, healthcare organizations, including hospitals, health insurers and pharmaceutical companies, have not yet found a way to balance privacy laws and industry regulations with the ability to engage existing and new patients online. Of the more than 1,000 respondents in PwC's report, 41 percent said it would affect their choice of doctor or medical facility and 32 percent said it would affect their choice of a health insurance plan. Healthcare providers should also note that an overwhelming (80 percent) number of respondents ages 18-24 said they would share health-related information through social media channels. 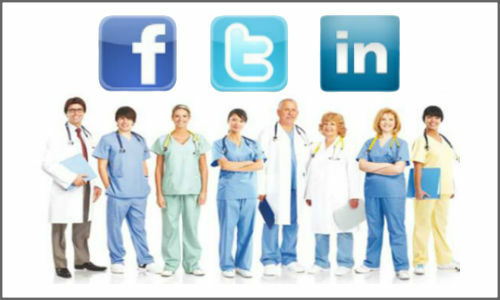 It sounds like healthcare organizations need to find a cure for their social media engagement illness.